If your kids are anything like mine they LOVE a seek and find activity; so we have managed to get one for you as a taster from a fabulous new set of seek and find books that have been published by Happy Fox Books. 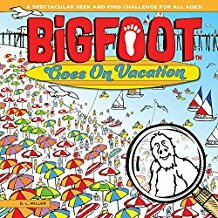 What makes these so wonderful is that they feature BIGFOOT! What isn’t there to love about a seek and find Bigfoot?!? Passengers with a green hat and back packs. The items that you need to find within each page in the book are beautifully illustrated, so your children will know exactly what they are looking for within the book. The pictures are gorgeous, and your kids won’t fail to have fun looking long and hard to seek them. You never know, you might even get a little bit of a break while they do! Bigfoot himself it a little shy, and doesn’t get out too much, so we don’t really get to see him. 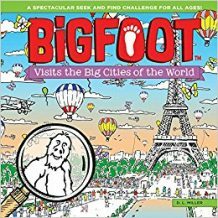 Children obviously have to find Bigfoot in the pictures, but also c. 500 other items as well, including dragons and phone boxes! 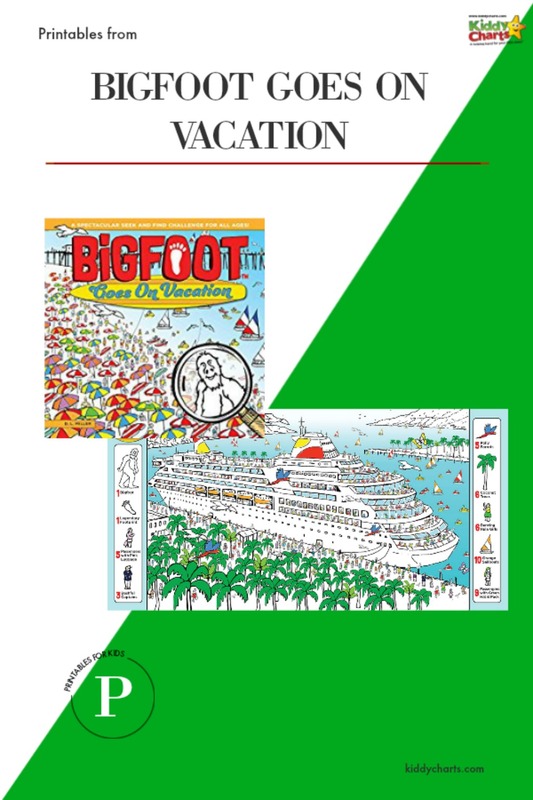 Each book has facts about the places Bigfoot visits, as well as information pages on the 10 panoramic illustrations that kids need to seek and find in! All you need to do to get a printable version of this amazing cruise liner, is to click on the image below. We hope you enjoy playing with this seek and find activity; a perfect way to improve your kids searching skills, I am sure you would agree. A winter scavenger hunt; where you can seek and find in real life! Yak’s milk with Yeti straws from Witty Hoots. As always, we hope you have enjoyed reading this with us. If you would like to stay in touch, then do join our mailing list. We would love to have you.